Time has come for a yearly overview ! What happened in the Common Lisp world ? Are there (or groundbreaking promising useful fun) projects, articles, discussions, tutorials ? No need to say, I won’t reference everything we find in the quaterly posts, which don’t list all new projects appearing on Quicklisp (we can find these in the monthly Quicklisp releases) or Github. I hope this overview will sharpen your interest on what is in my opinion an under-sold and still very promising language and plateform, that I happen to like more and more (and sooo more than Python ;) ). along with many improvements on other pages, like on getting started and editor support. For Vim and NeoVim we have SLIMV, VLIME, and plugins can be written for NeoVim using cl-neovim. For popular editors, the experience is getting very good on Atom and the popular Visual Studio Code can be made to work with CL using cl-lsp. and for interactive notebooks, we have Jupyter kernels and yet another notebook (Darkmatter). Common Lisp support is getting very good on Atom, but needs a couple PRs merged. A very welcome improvement is the Common Lisp fundation’s website: https://common-lisp.net/ It got a massive update and is now attractive. We had http://lisp-lang.org/ (don’t miss its success stories section (did you know that pgloader was re-written from Python to CL ? :) )), but common-lisp.net was a googlers’ honey pot. Awesome Lisp Companies: it was needed because Lispers didn’t know a lot of companies using CL appart from IRobot, Google’s ITA (powering Kayak, Orbitz and others), Grammatech, YCombinator, Siscog or other dead ones. and competitive Programming websites like CodeForces, HackerEarth, HackerRank, and CodeChef. I think the commits tell a slightly different tale though. There is always a lot of background ‘making stuff better’ work than won’t appear as the explanation would either be ultra internal and specific or would be super vague and very similar each month (for example ‘stuff is slightly faster’). For one that would be overly specific this one might make for a good example. It’s grand work, but doesn’t surface in any specific lisp feature, stuff is just better. Or the developers are too lazy to describe their changes. we have ABCL targetting the JVM, Embedable Common Lisp, without forgetting active commercial ones, like LispWorks and AllegroCL. While I’m at it, you might want to have a look at MOCL for IOs, Android and OSx. We got a nice talk by Clozure Common Lisp’s maintainer: this Old Lisp (this one may be the second most used implementation, particularly good for development — super fast compilation times (I heard it compiles itself in seconds), advising, watched objects, its own IDE). So: welcome to this new world. It’s bigger than I thought, for sure. I only list some projects that can be of interest to anybody. For the full stuff see the quaterly posts ! Next browser 1.2.0 is out! : a browser exposing all its internals to CL. Be productive. CANDO — A Computational Chemistry programming environment integrating Common Lisp and C++ based on the Jupyter notebook. Their Youtube channel. Voxel game engine (Minecraft) — a Minecraft engine. Allows for interactive changes. cl-torrents 0.9 — readline interface and 1337x.to scraper — a simple tool to search for torrents on popular trackers. My first CL app. Web and GUI interfaces nearly finished. filtered-functions — enables the use of arbitrary predicates for selecting and applying methods. 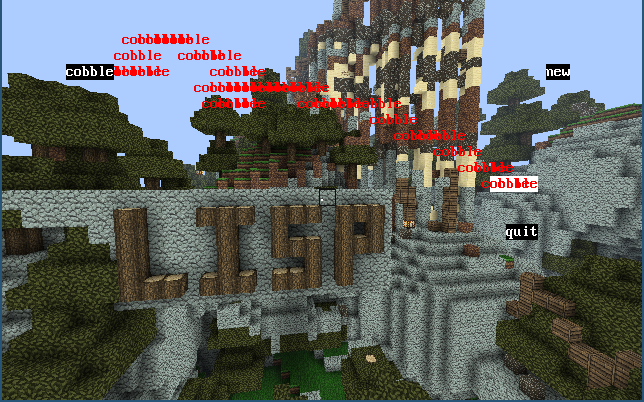 An interactive Minecraft engine in Common Lisp. How cool is that ? reddit1.0 source code (comments), then Reddit’s code runs on SBCL. See also reddit. the second version of Ultralisp is available — Ultralisp is an important project that fills a gap. It is a quicklisp distribution which updates every 5 minutes. It is also a Weblocks application! quicksys — installs systems from multiple Quicklisp distributions. For more options, see Qlot (install and pin libraries locally, like Python’s virtualenv) and Roswell. cl-aws-custom-runtime — An example of using Common Lisp (SBCL) as a custom runtime on AWS lambda. prometheus.cl — Prometheus.io client. 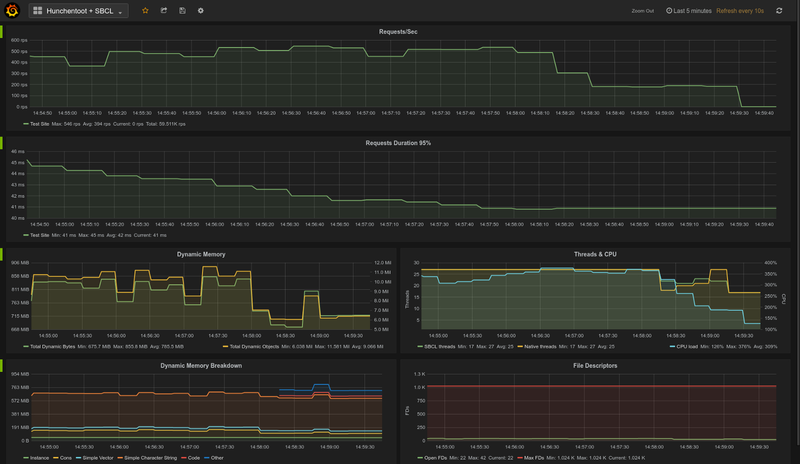 Grafana dashboard for SBCL and Hunchentoot metrics (memory, threads, requests per second,…). We can also deploy apps on Digital Ocean, and no need to say that deploying a self-contained executable is easy, connecting to a remote instance too. A Road to Common Lisp (hacker news comments). You should read this one. A bunch of utilities from (again) sjl: higher order functions, sequences, debugging, profiling. How to make (Common) Lisp popular? How do you normally use a program once written ? How to work on a project and make sure dependencies are tracked correctly? Does anyone else hate LOOP? What does it take to understand the true power of Lisp? How did Lisp make your life easier ? Should local variables be avoided when possible when doing functional programming? Is ABCL an active project and does it support JRE 1.11? Has the Gnu Coreutils ever been implemented in Lisp? If not, would that be a worthwhile project? Has anyone considered or started a project to write a CL implementation in WebAssembly? What do you recommend to work with SQL databases ? What’s your experience with Mito ? and sqlite only interface: cl-sqlite or cl-dbi ? and is there an ORM that generates classes from table definitions ? I want to try Lisp, how should I begin? What lisp dialect for “real world” applications? What do commercial Lisps offer that frees don’t? Which (non-Clojure) Lisp to learn first? Can CL implement Clojure’s keyword as function syntax? Why did you decide to learn Lisp? How do you go about starting a Common Lisp Project? A beginner looking for pointers. As a newbie, what I will miss if I choose Racket over Common Lisp? Or if I happen to learn both at somepoint in future, choosing Racket/Common Lisp now would make sense? What can other languages do that Lisp can’t ? 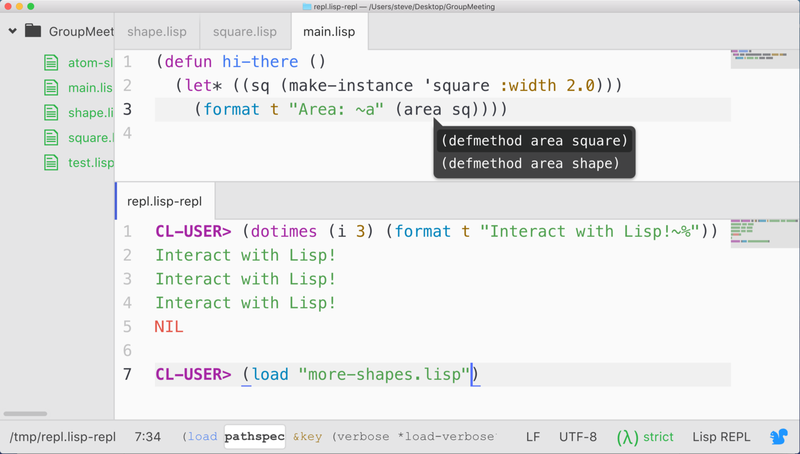 How did the Common Lisp community survived without the equivalent of clojure.spec ? Is there a Lisp that is considered “excellent” about error handling ? What other languages besides Lisp do you enjoy programming in? Enjoy the material, and see you soon ! Thanks to /u/defunkydrummer for proofreading. Fix or improve this article on Gitlab.